With one in four of us expected to experience a mental health problem at some point in our lives, the subject of mental wellbeing and the need for effective advice and support is a growing priority for health and social care service providers. Understanding emotional or wellbeing issues and having access to practical advice on how they can be managed are important first steps that can prevent conditions from worsening further down the line. The local partnership board for mental health services in Bridgend, Neath Port Talbot and Swansea identified a gap in provision of information for people who may be experiencing emotional or wellbeing difficulties. 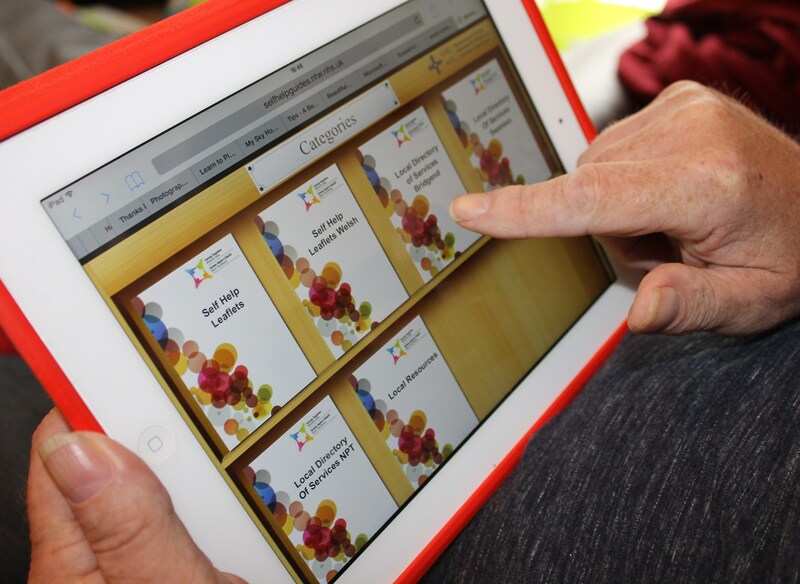 This has led to the development of a new ‘electronic library’ – a series of online self-help guides designed to offer information and advice on a wide range of subjects, including social anxiety, dealing with bereavement and alcohol dependency. Funded by the Western Bay Programme, the guides help users to make sense of emotional and wellbeing issues and signpost to appropriate services if further support is needed. “This new resource is an excellent means of giving people the tools they need to better understand issues around mental health. Early preventative measures have a positive effect on a person’s health and wellbeing in the long term, so it’s crucial that people have somewhere to turn when these issues present themselves”. To view the guides (available in both Welsh and English), please visit www.selfhelpguides.ntw.nhs.uk/abmu.